As the third artist I included in the latest Curvy Book out this week (see the first two here and here) I wanted to move away from the slick and precise work that both Eirian and Gemma have and instead show an illustrator who was very textural and quite abstract. As a young illustrator I was always very fascinated by "artists" who wished to separate themselves from commercial illustrators as if working for commercial clients was some kind of dirty sin. Even as recently as last year I was corrected by a prolific Australian painter when I told someone I was an artist - obviously not wishing to be considered in the same category as I he very quickly corrected me that I was in fact an illustrator (silly me). 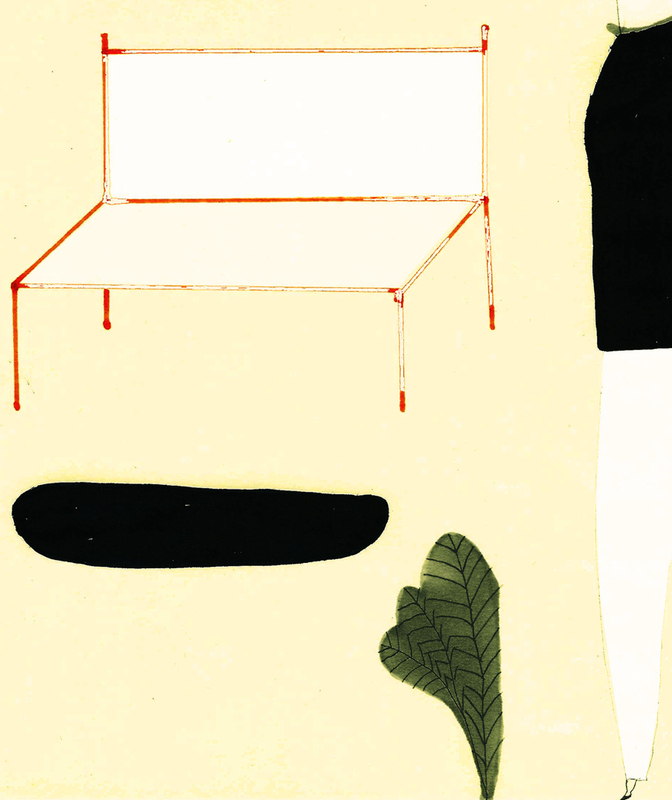 Artists (or illustrators) such as Romina Quiros challenge that exact notion that we must sit specifically under one title, experimenting with materials on paper and surfaces as any "artist" would, but working commercially for fashion brands such as Marni she blurs dated boundaries and is the perfect example of modern working creativity. Your collaboration with Marni produced some of Curvys favourite T-shirts for last summer. How did that collaboration begin, what was it like working for such a huge fashion brand? Consuelo Castiglione, the Marni's creative director, had seen my designs and she loved it. From that moment, they decided to write me and we started to work in the fall-winter collection 2013.Working in Marni was a very important experience. I learnt too much and it helped me to mature and leading my work. It's difficult to define my style. But I can say that I try to capture the simplicity and the harmony of forms in everything that I do. Who or what has been the biggest inspiration for you as an artist? Nature without doubt, forms, its poesy and the complexity of the simple. Where do you see yourself creatively in the next 5 years, what sort of projects would you like to be working on? I like design, creating objects. In the last years I was trying and testing with the design of contemporary jewelery, something that stimulates me too much. I see myself working in that project and working with others designers. Your work is very textural, what are some of your favourite mediums to work with? I'm quite eclectic, and I like using unconventional materials, it's my essence as designer. Every material that makes a good footprint is welcome. If you were not an artist, what do you think you would be? I can't say one. I would like to be so many things. I'm very curious. But today I could be a botanical artist. Tomorrow will see.